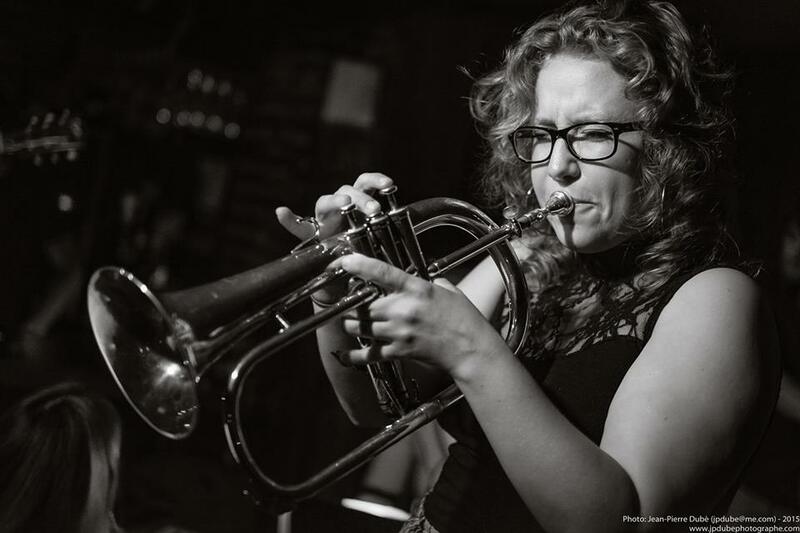 The PLG Arts Jazz series is pleased to present trumpeter, composer, and bandleader Rachel Therrien at KD’s on Friday, Oct 28, from 7:30-9:30. Playing in a variety of musical styles and enriching her talent with experiences from many different cultures, Therrien was considered one of the most promising young jazz musicians on the Québec music scene. Winner of the 2015 TD Grand Prize Jazz Award at the Montreal International Jazz Festival and the 2016 Stingray Jazz Rising Star, she has recently settled in Prospect-Lefferts Gardens. Therrien toured the US promoting her Afro-Colombian inspired jazz album “Pensamiento,” which was recorded in Bogota, Colombia, in 2014. Join Rachel and PLG Arts at KD’s, 408 Rogers Ave, between Sterling St & Lefferts Ave. $5 suggested donation supports the musicians and PLG Arts.